Minister and adviser to Her Highness Shaikha Fatima Bint Mubarak, Chairperson of the General Women’s Union, Supreme Chairperson of the Family Development Foundation and Chairwoman of the Supreme Council for Motherhood and Childhood, Dr Al Shamsi sees life as an opportunity to invest in it with all the energy she has. “My journey had several stations, I had conviction that God would guide me as long as I had the commitment and values which were the basic principles of my life. Early on my life, I had to combine education and employment, and it was not easy, but since my goals were numerous, it made me keen on perseverance, determination, hard work, and patience,” said Dr Al Shamsi, who has served on a number of international, regional and local boards and committees and won several awards, one of them as an appreciation for her efforts in establishing the Sorbonne University in Abu Dhabi in 2008. Dr Al Shamsi said Emirati woman received full attention and support since the beginning of the union from Shaikha Fatima, who was also greatly supported by the late Shaikh Zayed Bin Sultan Al Nahyan. “Emirati women took part in the first international conference for women only four years after the establishment of the state. This is, no doubt, a precedent for the UAE who gave men and women an equal opportunity in all fields including education, jobs and political participation,” said the author of several published books. It was from the leadership that women got inspired to proceed in all areas, in which she had the honour of being part of, she said. She personally doesn’t see any barriers to women’s aspirations in the UAE. Dr Al Shamsi said Emirati mother has a national duty to raise good children but this duty does not prevent her from practising her role in the various spheres of life. Dr Al Sayegh’s research and work on both the Gulf and the UAE’s history is some of the most important ever done to date. As she recalls her personal journey so far, she says she began to realise her goals as early as at the age of seven. “I wanted to become a teacher, and when I did, I wanted to achieve something more. I pursued higher studies with complete support from my father, who was also a teacher and who had encouraged me the most throughout my journey. My target was to discover and document my country’s history, and in that way, I felt I could serve my country,” said the historian and professor at UAE University. Pieces of legislation that are in favour of women in the UAE are a significant factor helping Emirati women strike a balance between the different roles they have, she said. 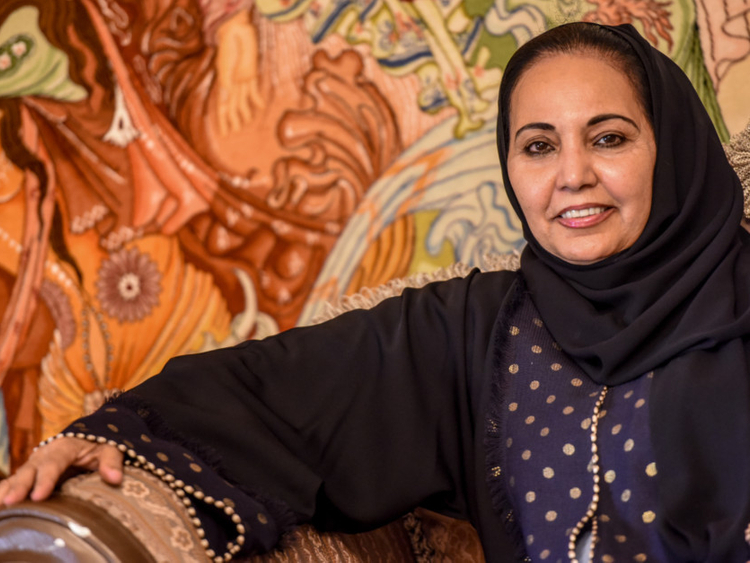 One of the first women in the UAE to become a member of the Federal National Council, Al Awadi said there were many influencing factors that helped her achieve certain milestones in her life. “The UAE has provided a safe environment for its citizens, free access to education, jobs and health care, which I see as the influencing factors to my achievements. It is also a clear government vision that you must invest in your citizens and engage them in the process of nation building,” said Al Awadi, who became the first Arab woman to be CEO of TV channels at Dubai Media Incorporated.